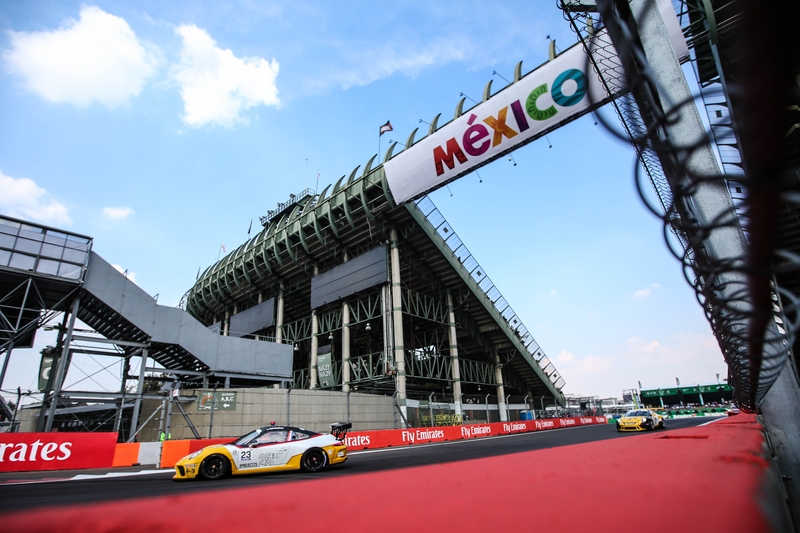 The penultimate race of the Porsche Mobil 1 Supercup season was run at Autodromo Hermanos Rodriguez i Mexico. 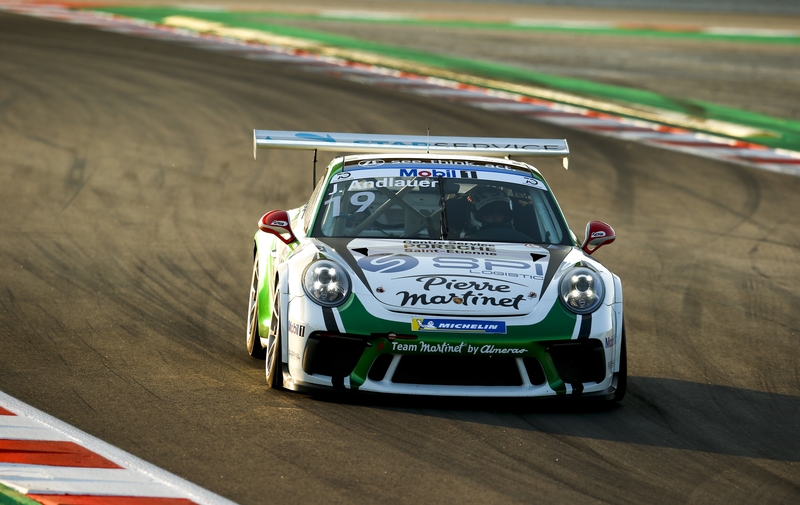 Championship leader Michael Ammermüller had grabbed Pole Position ahead of Julien Andlauer and Larry ten Voorde. Championship contender Thomas Preining was starting from P4, while Nick Yelloly got a penalty for not slowing enough under yellow flags, so he would start 3 places further back than his qualifying position, dropping him from P6 to P9. Mikkel Overgaard Pedersen had qualified in P12 in the 26 car field. After a slight off track moment in the practice in the Friday practice, the mechanics had to work a few hours on the car yesterday evening. Andlauer made down to Turn 1 first, but didn’t brake in time, and went wide. Ten Voorde managed to outbrake Ammermüller into Turn 1, since the German was extremely cautious. That combined with Andlauer’s small detour, made the young Dutchman the race leader. Zaid Ashkanani spun after a light contact with Thomas Preining in Turn 2, when Ashkanani came on the throttle a little too hard, and at the same time, had to avoid Preining, dropping him from P8 to last position. An important message from the race stewards flashed up on the timing screens towards the end of the third lap, where it was announced that ten Voorde would get a 10 second time penalty for making a false start. It was marginal, but the stewards had made their decision. Tom Sharp had a contact with Dylan Pereira, sending the Englishman into a spin. He had broken some of the suspension, so he was out of the race. American Richard Heistand spun all by himself, but made a quick turn-around and continued on. He was already out of the points even before that happened. Mikkel Overgaard Pedersen had to retire from 8th position with a broken half shaft, which was really unlucky for the Dane. Ammermüller did, however, manage to get right on the rear bumper of Andlauer, at the end of the start-finish straight, but didn’t make it past. Josh Webster unfortunately had to retire from the race with a technical problem. There wasn’t much team driving from Preining, who pushed his teammate Ammermüller to the absolute max – but Preining of course still had a title to fight for. The two were locking wheels in different corners, but both stayed on the track. With three laps to go, Ammermüller had to go super defensive towards Preining into Turn 1, leaving on a few centimetres of tarmac for the latter, before the grass would have welcomed the pink car. Nick Yelloly had also had a great race, getting up to the rear bumper of Preining, after a fantastic overtake on teammate Jaap van Lagen. 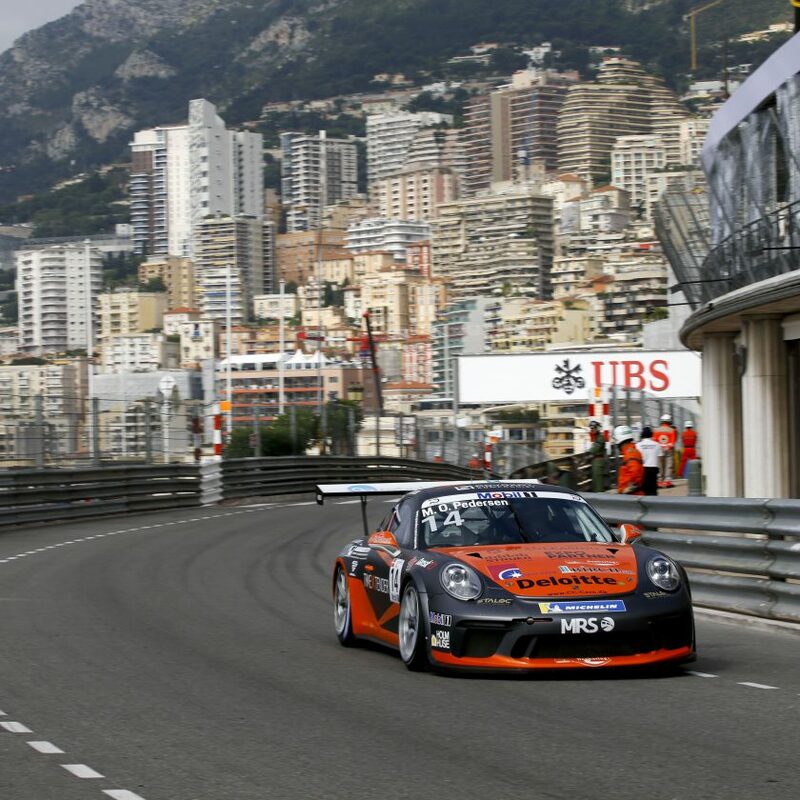 That made the three title competitors in effectively 2nd, 3rd and 4th in the race. 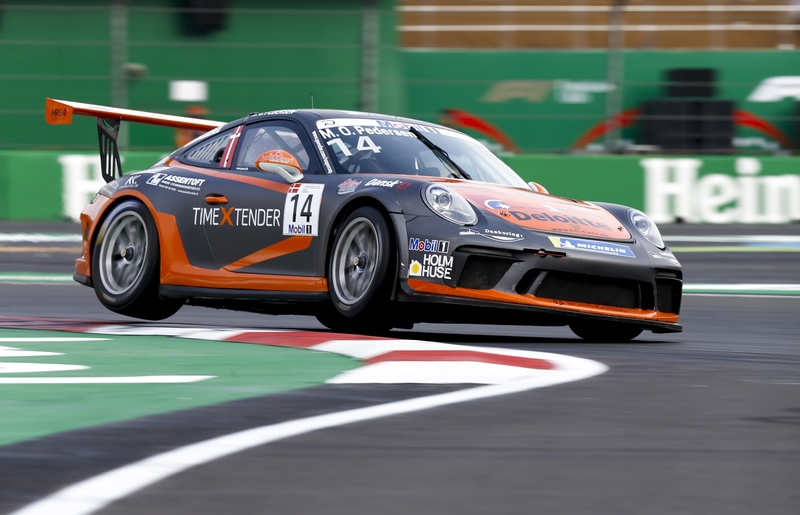 Ten Voorde was the first driver to cross the line, but with the 10 seconds penalty, the victory went to Julien Andlauer, grabbing his first ever Porsche Mobil 1 Supercup victory, after winning the 24 Hours of Le Mans earlier in the year. Michael Ammermüller finished second, ahead of Thomas Preining, Nick Yelloly, Jaap van Lagen, Florian Latorre, while Larry ten Voorde finished 7th. Michael Ammermüller still leads the Championship standings ahead of Nick Yelloly and Thomas Preining. Those three drivers are the only ones with a chance of the grabbing the largest trophy of them all, after the race tomorrow – a race that Ammermüller will also start from Pole Position. The Championship decider will be run Sunday afternoon, with race start at 17.15 CET.